We parked in the load zone at preschool the other day and our four year old was very concerned we’d been there for longer than 30 minutes. He really didn’t want to get a ticket. 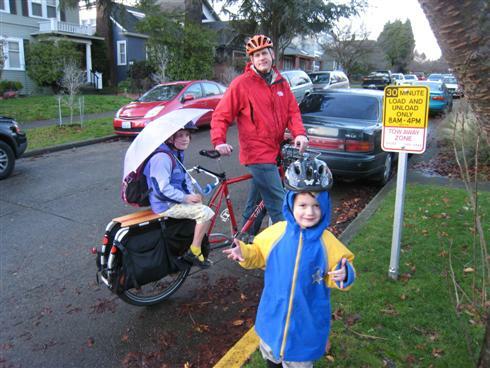 This entry was posted in alternative transportation, bikes, extravehicular activities, kids, neighborhoods, School, seattle, traffic and tagged bikes, carfree, School, seattle, traffic, xtracycle. Bookmark the permalink.